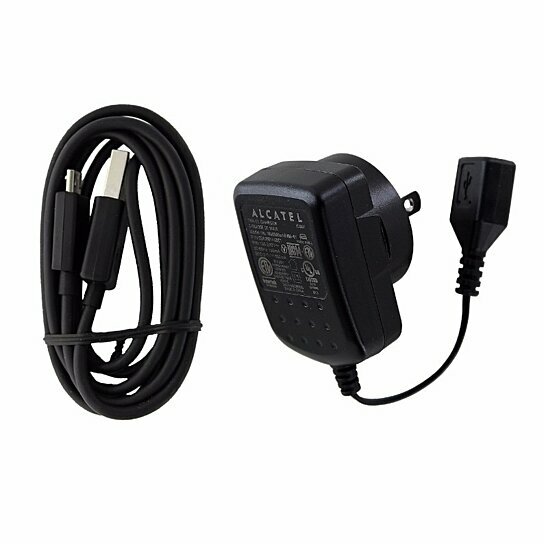 Alcatel Travel Charger with 2 inch cord connected to a female USB port to plug your device\'s USB cable. There is also a generic Micro USB charging/data transfer cable included so you have everything you need to charge your device. USB cord for devices using a Micro charging port.